From McLean, Va., Monday morning, Gannett (GCI) stock moved more than 3 percent higher in early trading after its released its Q2 earnings sheet. And what is very little surprise, that which is digital has trumped all that is old-fashioned ink in the company. Overall, the company posted earning per share of 56 cents, which beat estimates by 3 cents, though overall revenue of $1.31 billion was in-line with estimates and down more than 2 percent over the same period a year ago. However, the breakdown in the numbers is pretty clear that the binary system is in high demand. Publishing advertising revenue was $594 million, which was down more than 8 percent from a year ago, while broadcast revenue was up more than 11 percent to $20 million. The company also reported that pageviews for its mobile news apps where up 14 percent from a year ago. Digital segment revenue was up nearly 5 percent, and the company attributes most of that gain to its job-search site, CareerBuilder.com. 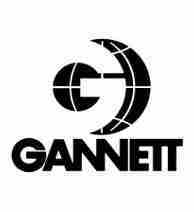 The overall news seems to be good for Gannett, which would translate positively for hedge funds like John Rogers’ Ariel Investments and Randall Smith’s Alden Global Capital. Ariel had sold off nearly 10 percent of its shares in Gannett during the first quarter of 2012, but was still invested $160 million as of the end of March; while Alden pared a third of its shares to settle at nearly $97 million at the end of Q1. Leon Cooperman of Omega Advisors stepped into Gannett in Q1, tossing in a $23 million buy.